5 out of 5 stars based on 28 Dental Implants reviews. The procedure was somewhat painful but the experience with the office was not. There are no great reviews without great services. These services are provided by Dr. Sallustio and his competent staff, who mix professionalism with the warm atmosphere of visiting friends. I've had some traumatic experiences with other dentists in my life before coming here but no longer fear going to the dentist. Dr. Sallustio is the best that there is. He is compassionate and knowledgeable and knows how to treat patients with severe anxiety like myself. 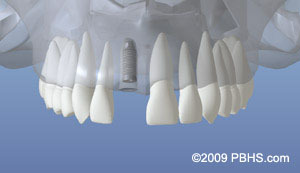 Dental implants gave me the ability to once again bite into, chew and enjoy all of the foods that I love, which I hadn't done in years. 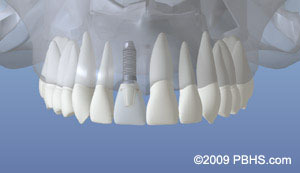 The implants felt fantastic from day one and continue to feel great. Thank you Dr. Sallustio for not only giving me back my smile but my self confidence as well. I have been coming for the past 3 years, and am very pleased with the finished product. Dr. Sallustio offers excellent skills and knowledge, compassion, patience and interest, all of which reflect his ability to provide perfect outcomes. He coordinates with all other dental clinicians on behalf of his clients. His staff are very skilled and accommodating and reflect the high standards of the office! I also appreciate the ambiance of the office, it’s gardens, potted plants and fresh flowers. Need a dentist? He”s your guy! After years of avoiding dental care due to fear, I finally made an appointment with a dentist who told me my only option was removable dentures. I went to Dr Sallustio for a second opinion and I am VERY glad that I did. He was able to create a treatment plan for me that allowed me to have to permanently attached bridges - as close to real teeth as you can get! Dr Sallustio and every one of his staff members made me feel comfortable and were able to alleviate the dental fears that I have lived with for decades. I can not recommend him enough! Everything and everyone associated with Dr. Sallustio’s office is wonderful. The entire experience here was wonderful. Everything is good. So glad I was referred to Dr. Sallustio! I was blessed by the overall operation of the office and the doctors expertise. I would recommend this doctor and office highly! The procedure that was performed for me is life changing! Dr. Sallustio and his entire staff are TOP NOTCH! I embarked on a year long adventure with Dr. Sallustio which involved correlation with a maxiofacial surgeon, removal of bottom teeth, placing of implants and a permanent appliance anchored to the implants. Complicated? You bet! From the first moment I walked in the door, Judy at the front desk sensed my nervousness and immediately made me feel comfortable and calm. Every single person in the office is caring, compassionate and kind. Talking about financing such a project isn't easy and even that was done in such a clear and helpful way. I can only think that the staff reflects Dr. Sallutio's personal style and manner. He held my hand every single step of the way, worked through the setbacks I presented him with patience and skill and he celebrated with me at the finish line. If you are considering this dental practice, you will not find a more proficient and patient bunch of perfectionists. I am so lucky to have found them! Dr Sallustio is an expert and perfectionist in his field. He is also very caring and patient, I confess to be a challenging patient. From pre op to surgery through post treatment, Dr Sallustio and his entire staff continue to go above and beyond to make sure I am comfortable and confident with my treatment. The staff is amazing and extremely friendly. My appointments are like visiting family and friends. I thank Dr Sallustio and his staff for giving me my smile back and and the ability to eat normally again. I highly recommend Dr Sallustio to anyone needing expert, professional, caring dental treatment. Dr.Sallustio, is one of the Best Dentist I ever been to. He is a perfectionist!! He did my dental inplant. ( front tooth) and, also you couldn't ask for a better staff. Friendly and Kind. Judy at the front desk is always willing to help me out. I would recommend them to anyone!